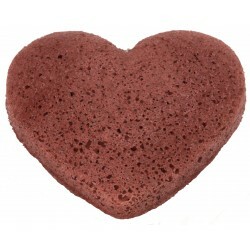 Konjac Sponge with Red Clay for Dry & Sensitive Skin. 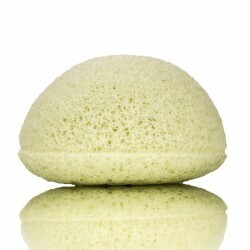 The konjac sponge is made from a natural material which is called Konjac (in Japan it’s known as Konnyaku). 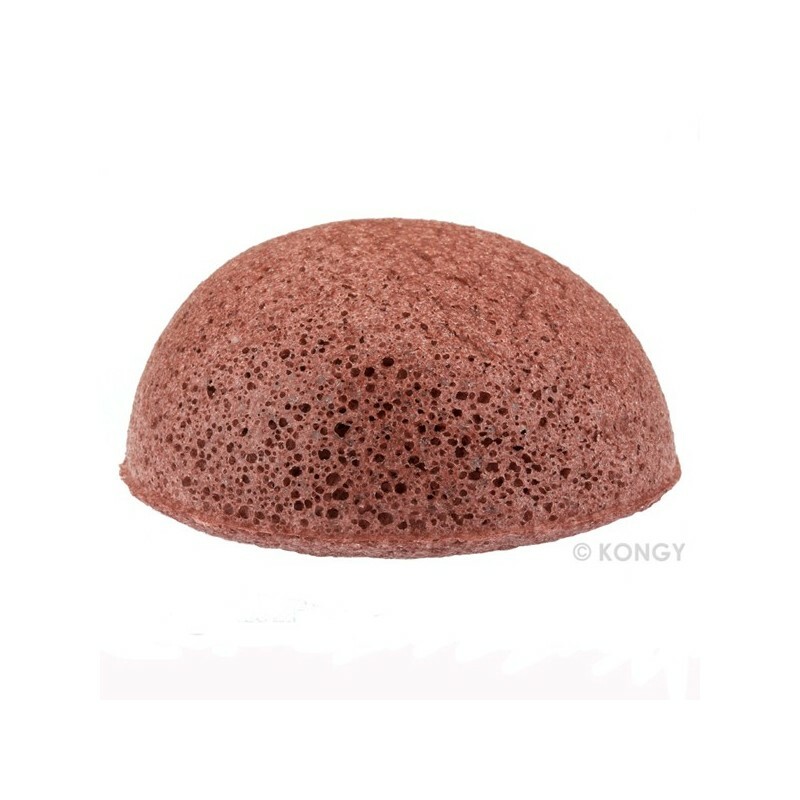 Konjac is a perennial herb in aroid family and since ancient times, it has been widely used as a medical and edible natural plant. Konjac is a popular and healthy vegetable in Korea and Japan. Being unbelieably soft and gentle, konjac sponge exfoliates dead cells while wiping the face and body, and leaves behind a colloid film to nourish and protect your skin. 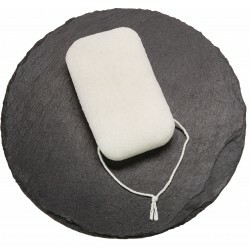 It’s perfect for cleansing even the most sensitive skin! 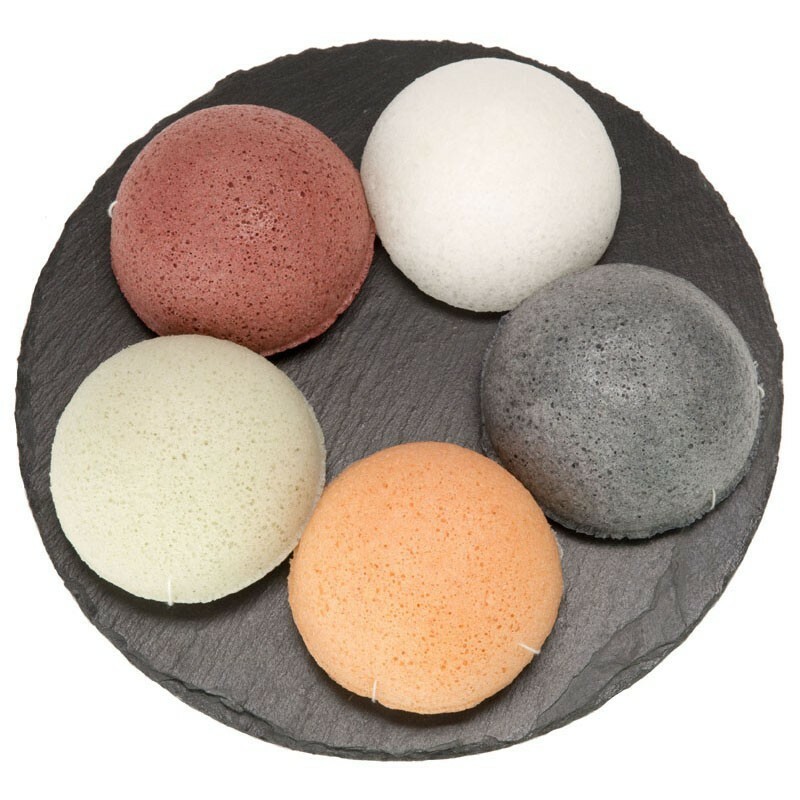 A Konjac Sponge contains no preservatives or artificial pigment. You do not need additional facial cleanser or soap - except if you really wanted to. 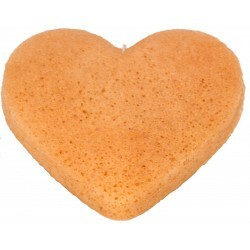 Should you choose to, in addition to use a cleanser or soap, you only need a fraction of the usual amount because the sponge produces more foam and distributes cleaning products better than usual on the skin. Better for your skin, better for the environment – and better for your wallet! 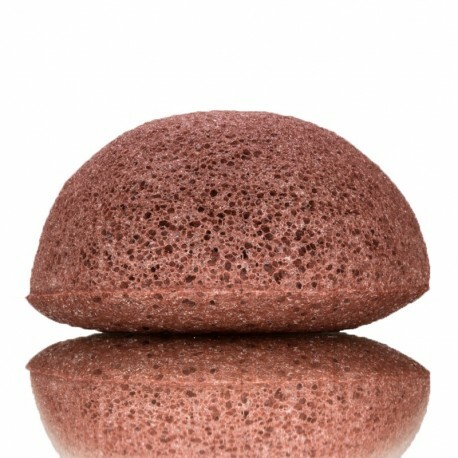 The Konjac Sponge is about 8 cm (3.2 inches) in diameter and 3,5 cm (1.4 inches) – the perfect size for face and body. Lightweight and perfect for everyday use, even on sensitive skin. No stimulation to any skin! Sustainable, fair trade and handmade in South Korea.